On Thursday, I leave for Vermont. 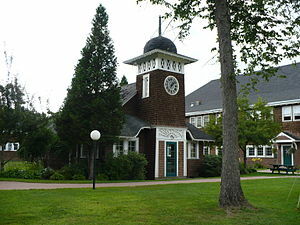 Specifically, Goddard College, for a residency in creative writing. Remember this when you decide that your Silly Putty masterpieces are worthy of a career in sculpture, that your crayon drawings or chocolate-syrup-fingers are on to something artful, or when you want your comedic presence to be shared with a room of people in the dark, who laugh at your will. Art is often thought of as the least-practical route, but is looked to, by everyone, for meaning, when reason ultimately fails. And it often will. Today, you told me that the “countdown chain” I made you was “reawwy awful” because I put you in timeout. When I was little, Mrs.Ewanow, my Kindergarten teacher, had us all make chains with 25 Lick-N-Stick links, alternating red and green. I brought mine home to my mother. We hung it on the door to the basement, and I tore one away each day, though when I felt really anxious to unwrap the presents under the tree, I wanted to take two links away. Today, when you told me you didn’t like my chain, I thought, Well, it serves me right for thinking I could compare to Santa. “Johnny, I’m going to go to work. For a whole week,” I said. “Okay! Well, wanna build a train track?” you asked. Sammy is so little, Johnny. Today, you tried to knock him over with your whole left side. You scratched him on his back like a cat would. You hugged him with so much love you left ten little white fingerprints on his tan back. He loves you, too, so he just smiles. Promise me this will not change by next weekend. You get your dramatic, sensitive side from me. Your grandmother is our opposite. Her fingers are split and calloused. Her eyes are darker and stronger than her coffee. She is so small, but like the trunk of a tree, she is unwavering. As a mother, she did whatever she wanted. Her first day of work was the first day I went to Kindergarten. And now, I am vanishing for a whole week. So, what does one week equal in pre-school years? I will be home in eight baths. Or seven re-runs and two new episodes of Phineas and Ferb. Or in ten chicken nuggets. Eleven juice boxes. Nine pairs of Spiderman underwear (if you don’t have any accidents). Eight bedtime stories and missed-kisses goodnight. It is hard for me to understand. I am doing what I want, too. Someday, you will tell me it was right.